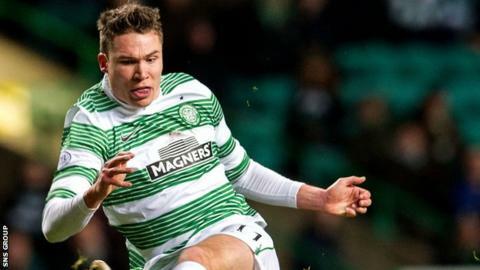 Derk Boerrigter has left Celtic after agreeing to the early termination of his contract. The 29-year-old Dutch winger was signed from Ajax in July 2013, with the Scottish champions paying a £3m fee. However, he has not made a first team appearance since August 2014. Celtic announced a four-year contract on signing Boerrigter, who scored once in 25 appearances, but the player's representative told BBC Scotland that just three months remained on the deal. Assistant manager John Collins insists Boerrigter was given every chance to succeed at the club. "We give everyone a chance," Collins said. "Sometimes it doesn't work out and unfortunately for Derk and for us it didn't. "He moves on and we wish him all the very best. "We try and keep everybody involved and everyone gets an opportunity and when you get the opportunity you have to take it. "That's football, it's the same the world over."